The 2017 Kohler Sustainability and Stewardship report examines Kohler’s efforts to positively impact the environment and global communities. In 2017, Kohler continued to closely align with United Nation’s Sustainable Development Goals (SDG) including Goal 6 (Ensure Access to Water and Sanitation for All), Goal 7 (Ensure Access to Affordable, Reliable, Sustainable and Modern Energy) and Goal 12 (Ensure Responsible Consumption and Production Patterns). Notable 2017 highlights include the reduction of water use per unit of sales by over 4 percent and several smaller initiatives at the plant level that led the company to decrease waste-to-landfill by 14 percent per unit of sales. 2017 was unprecedented for hurricane activity, with storms Harvey, Irma and Maria leaving millions of people without power and safe drinking water, including 95 percent of Puerto Rican residents. Kohler shipped Clarity filters to Houston and Puerto Rico to provide safe drinking water to residents. In Puerto Rico, the American Federation of Teachers partnered with the humanitarian organization Operation Blessing to deliver more than 30,000 Clarity filters to schools so that classes could resume despite a lack of electricity. Because up to 80 percent of a product’s lifetime environmental impact is determined during the early stages of development, Design for Environment (DfE) activities are concentrated here. The DfE process places environmental impact on equal footing next to traditional Kohler criteria of cost, quality, time-to market and innovation. In 2017, Kohler’s dedicated sustainability team provided product design teams with tools, training and business case support. 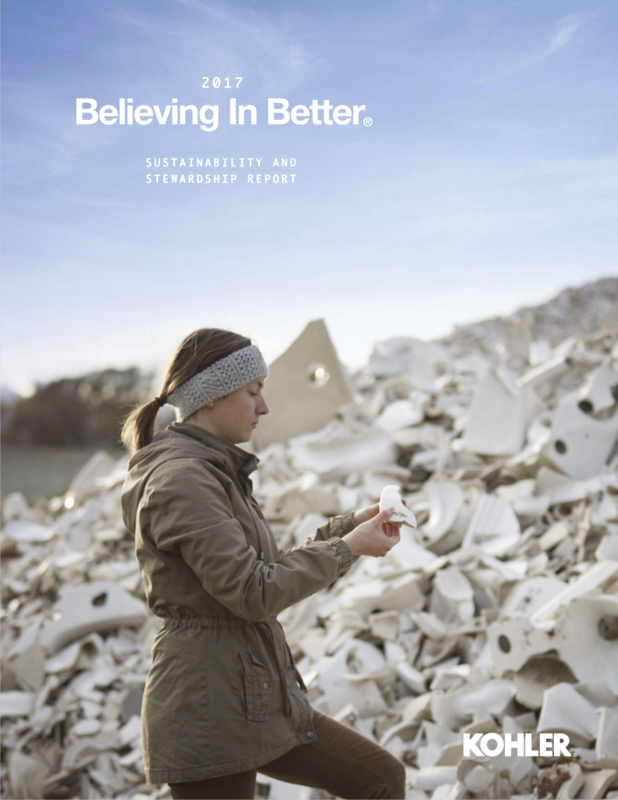 To view the full Kohler’s 2017 Sustainability and Stewardship Report, please visit kohler.com/stewardshipreport.